Very nice detailed gong, carved in the famous jarapara style. the most remarkable thing is that the gong is completely intact. There isn't the slightest damage. Beautiful ornaments of floral patterns and wayang figures. 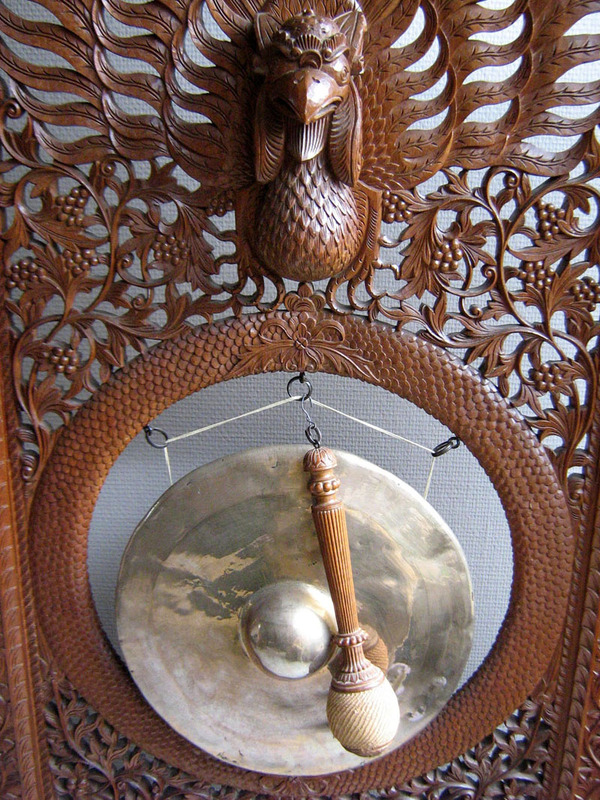 A similar gong can be found in the Nusantara Museum (Delft) and the Gemeente Museum in Den Hague. Pls click on each photo to see two larger images.